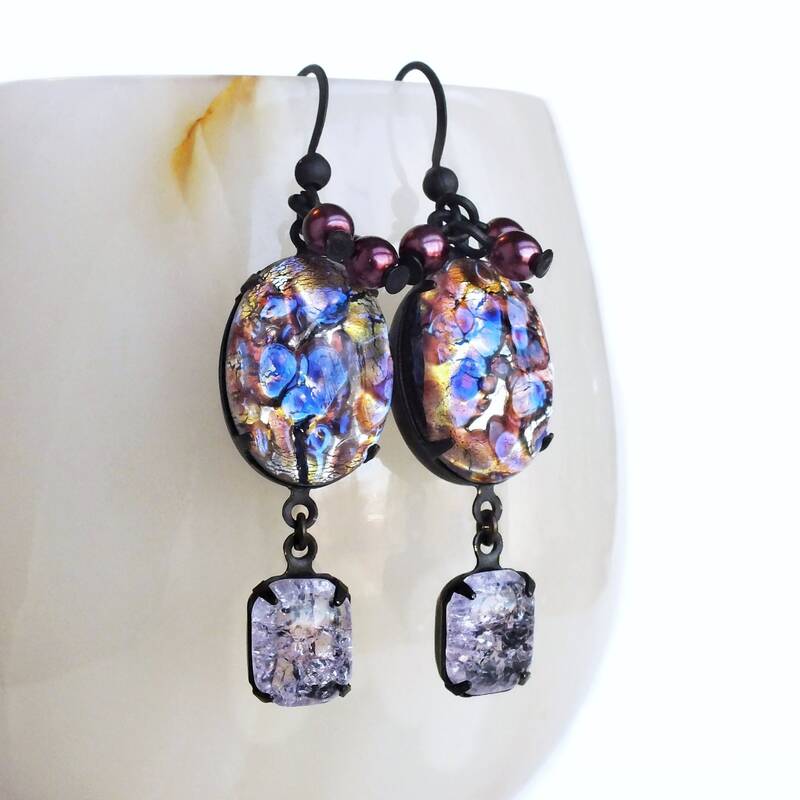 Handmade amethyst glass opal earrings with rare vintage purple glass cabochons. 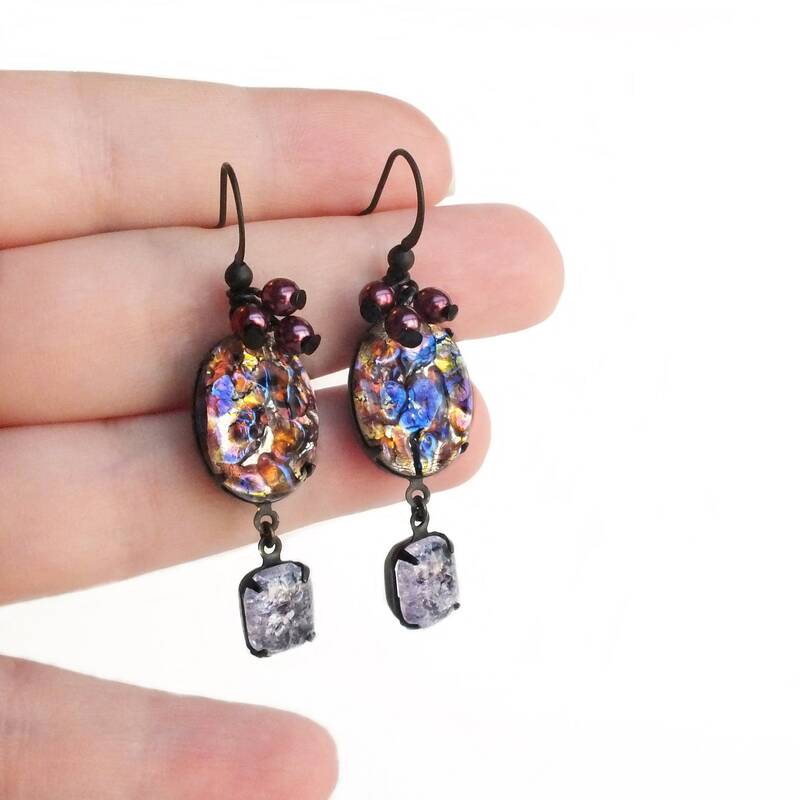 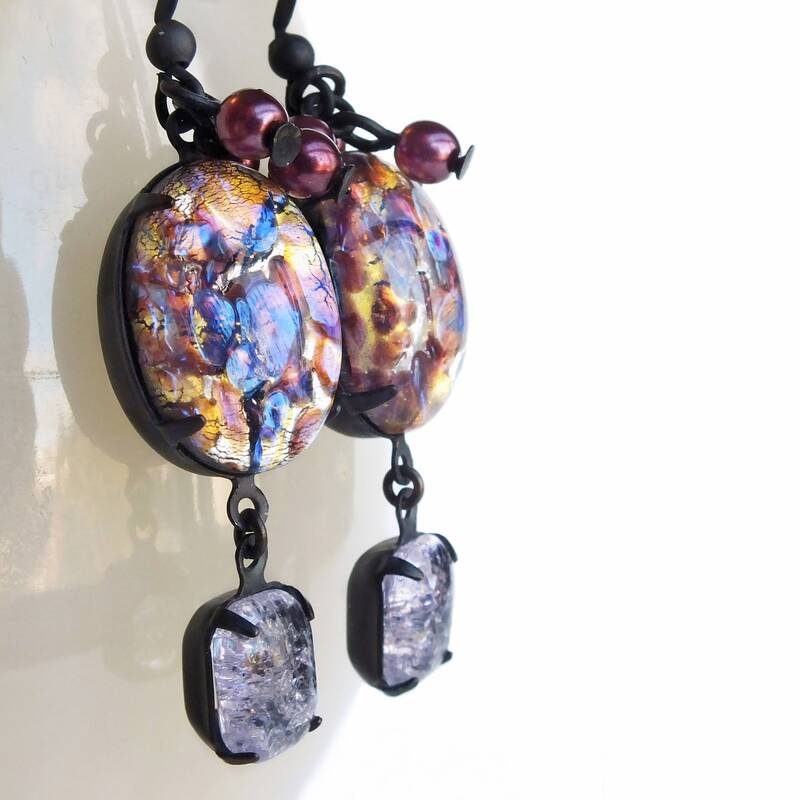 Purple art glass earrings made with *gorgeous* rare vintage glass 'harlequin fire opal' cabochons featuring floating amethyst colored glass and dark gold foil with stunning electric blue iridescence in bright light. 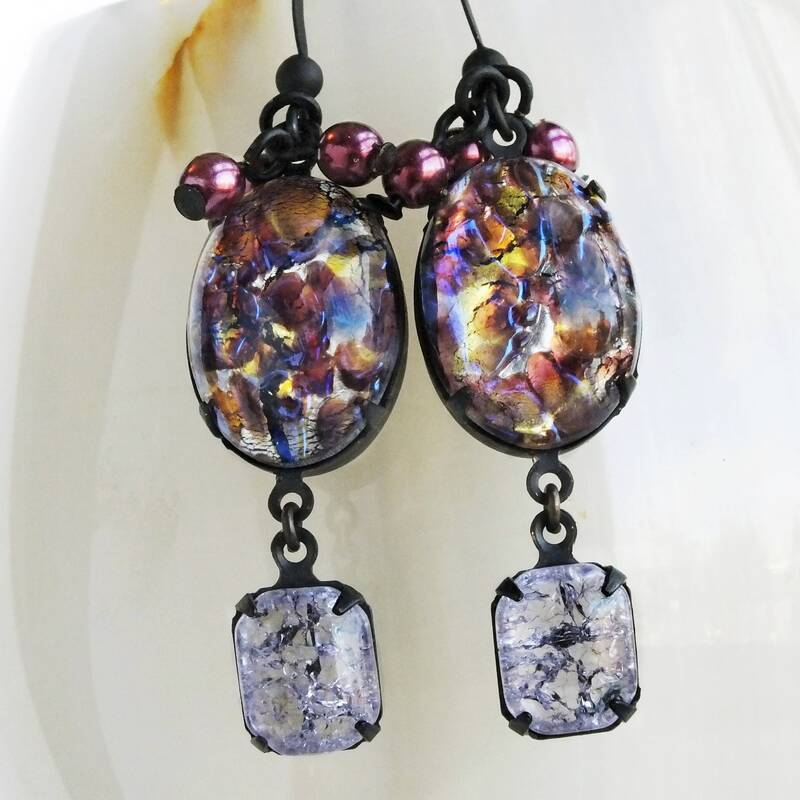 Set in dark weathered brass pronged settings adorned with rare vintage lilac crackle glass stones and aubergine Czech glass beads. 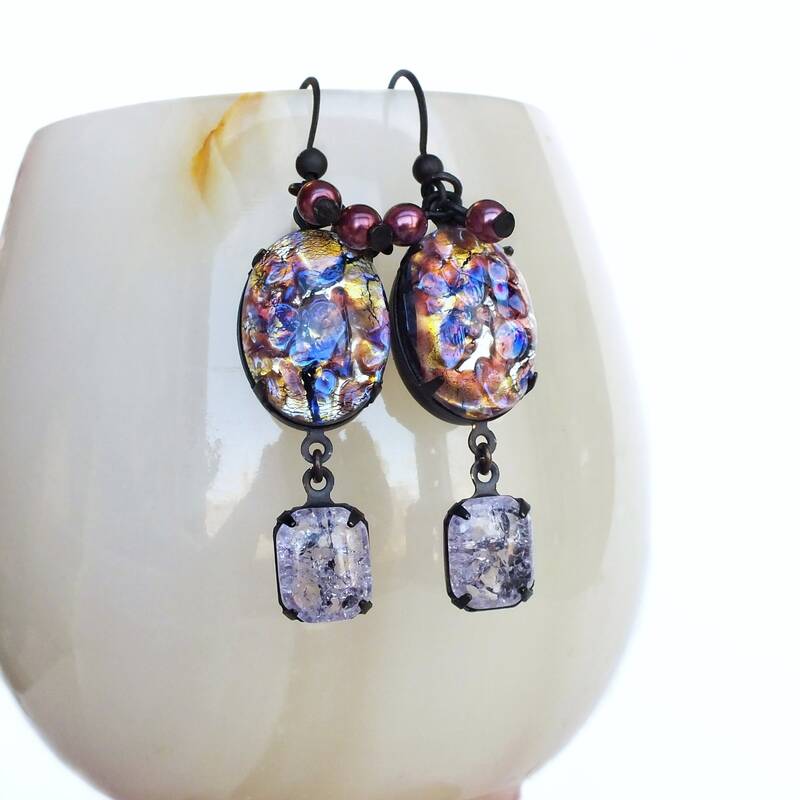 The glass stones are so much more complex and beautiful in person!